For other people named John Holland, see John Holland (disambiguation). Holland was born in Fort Wayne, Indiana, in 1929. He studied physics at the Massachusetts Institute of Technology and received a B.S. degree in 1950, then studied Mathematics at the University of Michigan, receiving an M.A. in 1954. In 1959 he received the first computer science Ph.D. from the University of Michigan. He was a Professor of psychology and Professor of electrical engineering and computer science at the University of Michigan, Ann Arbor. He held visiting positions at the Rowland Institute for Science and the University of Bergen. Holland was a member of the Board of Trustees and Science Board of the Santa Fe Institute and a fellow of the World Economic Forum. Holland received the 1961 Louis E. Levy Medal from The Franklin Institute, and the MacArthur Fellowship in 1992. He was profiled extensively in chapters 5 and 7 of the book Complexity (1993), by M. Mitchell Waldrop. Holland died on August 9, 2015 in Ann Arbor, Michigan. Holland frequently lectured around the world on his own research, and on research and open questions in complex adaptive systems (CAS) studies. In 1975 he wrote the ground-breaking book on genetic algorithms, "Adaptation in Natural and Artificial Systems". He also developed Holland's schema theorem. ^ "Adaptive Computation: The Multidisciplinary Legacy of John H. Holland" (PDF). Communications of the ACM. 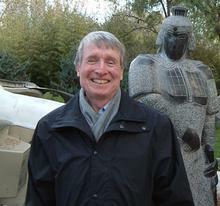 ^ "Profile: John H. Holland". Santa Fe Institute. Archived from the original on February 2, 2013. This page is based on the Wikipedia article John Henry Holland; it is used under the Creative Commons Attribution-ShareAlike 3.0 Unported License (CC-BY-SA). You may redistribute it, verbatim or modified, providing that you comply with the terms of the CC-BY-SA.